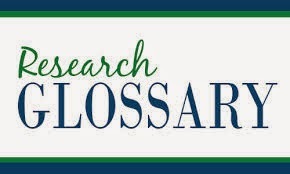 This glossary is intended to assist you in understanding commonly used terms and concepts when reading, interpreting, and evaluating scholarly research in the social sciences. Also included are general words and phrases defined within the context of how they apply to social sciences research. Acculturation -- refers to the process of adapting to another culture, particularly in reference to blending in with the majority e.g., an immigrant adopting American customs]. However, acculturation also implies that both cultures add something to one another, but still remain distinct groups unto themselves. Aggregate -- a total created from smaller units. For instance, the population of a county is an aggregate of the populations of the cities, rural areas, etc. that comprise the county. To total data from smaller units into a large unit (verb). Cluster Analysis -- a method of statistical analysis where data that share a common trait are grouped together. The data is collected in a way that that allows the data collector to group data according to certain characteristics. Confidentiality -- a research condition in which no one except the researcher(s) knows the identities of the participants in a study. 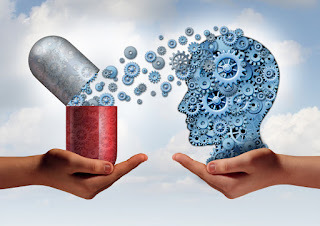 It refers to the treatment of information that a participant has disclosed to the researcher in a relationship of trust and with the expectation that it will not be revealed to others in ways that violate the original agreement, unless permission is granted by the participant. Critical Theory -- an evaluative approach to social science research, associated with Germany's neo-Marxist “Frankfurt School,”that aims to criticize as well as analyze society, opposing the political orthodoxy of modern communism. Its goal is to promote human emancipatory forces and to expose ideas and systems that impede them. Emancipatory Research -- research is conducted on and with people from marginalized groups/communities. It is led by a researcher or research team who is either an indigenous or external insider; is interpreted within intellectual frameworks of that group; and is conducted largely for the purpose of empowering members of that community and improving services for them. It also engages members of the community as co-constructors or validators of knowledge. Methods -- systematic approaches to the conduct of an operation or process. It includes steps of procedure, application of techniques, systems of reasoning or analysis, and the modes of inquiry employed by a science or discipline. Mixed-Methods -- a research approach that uses two or more methods from both the quantitative and qualitative research categories are used. It is also referred to as blended methods, combined methods, or methodological triangulation. Modeling -- the creation of a physical or computer analogy to some phenomenon. Modeling helps in estimating the relative magnitude of various factors involved in a phenomenon. A successful model can be shown to account for unexpected behavior that has been observed, to predict certain behaviors, which can then be tested experimentally, and to demonstrate that a given theory cannot account for certain phenomenon. Naturalistic Observation -- observation of behaviors and events in natural settings without experimental manipulation or other interference. Peer-Review -- the process in which the author of a book, article, or other type of publication submits his or her work to experts in the field for critical evaluation, usually prior to publication, This is standard procedure in scholarly publishing. Position Papers -- statements of official or organizational viewpoints, often recommending a particular course of action. Saturation -- a situation in which data analysis begins to reveal repitition and redundancy and when new data tend to confirm existing findings rather than expand upon them.